Your carpet may not look dirty but it is one of the most unhygienic things in your house. If not cleaned professionally, it will become a breeding ground for many disease causing pathogens. Regular vacuuming may help but if you want to clean it thoroughly, you should get your carpet professionally cleaned at regular intervals. 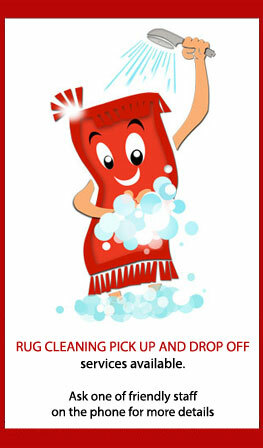 If you are looking for affordable and effective carpet cleaning Bondi Junction services, get in touch with us. Deluxe Carpet Cleaning is a licensed and certified carpet cleaning Bondi Junction agency that offers high quality services at highly affordable prices. We are experienced and trained professionals who are well aware of the latest cleaning techniques required to take toughest stains out of your upholstery and make it look like new. We use safest cleaning products and up to date techniques that will not damage your carpet even slightly. Steam cleaning is very much effective and is often the best way to clean your carpet and remove tough stains. We use measured quantity of steam and set the safest temperature to ensure that your carpet looks and shines like new. The innovative steam cleaning technique that we use requires very less water and therefore, your carpet will dry fast. Our steam carpet cleaning Bondi Junction services are therefore, very beneficial for commercial places where you cannot minimize the traffic. Residents who are concerned about their carpet hygiene should also consider our carpet cleaning services. Being a licensed carpet cleaning Bondi Junction company, we are committed to adhere to highest quality standards. We use high quality products and not the substandard ones that will weaken the bonds of fabric. We will treat the stains separately and will ensure that there is no discoloration. If required, we will do a spot test. We will remove the furniture, clean the carpet, and later put them back in position. If required, we will also clean the site so that you don�t have to bother about cleanup. We offer after hour services for commercial properties only to minimum our intervention in your office operations. A carpet is an expensive investment and getting it professionally cleaned may sound an additional expense. We however, believe that it is very much required to prolong the life of your upholstery. Further, many affordable carpet cleaning Bondi Junction company offer cost effective solutions for their regular and special customers. Deluxe Carpet Cleaning Bondi Junction did an Awesome job thanks heaps.